Originally from Dublin, Ireland The Nolans first entered the music scene when singing parents Tommy and Maureen Nolan moved the family to Blackpool in the 1960s. With a great love and enthusiasm for anything musical they initiated a singing family band named The Singing Nolans in 1963. The Singing Nolans band consisted of Tommy, Maureen, sons Tommy and Brian and daughters Anne, Denise, Maureen, Linda and Bernadette (otherwise known as Bernie). After a few successful years of performing, releasing an album and singles it was soon to end all but for the five Nolan daughters. Just over a decade after The Singing Nolans launched their singing career as a family, the girls began the introduction of their group The Nolan Sisters in 1974. After appearing on the hit TV show It’s Cliff Richard in the same year, The Nolan Sisters popularity increased and seen them appearing on national shows such as The Morecombe and Wise Show and The Two Ronnies. With a whirlwind of success and new found national fame the girls found themselves entering the music scene with a bang and becoming supporting acts for huge stars of the time such as Frank Sinatra. Although it wouldn’t be until 1978 that their first album was released they did release ten singles within that time however, they struggled to get into the charts until 1979 when they released Spirit, Body and Soul which hit the charts at number 34. With disco music being a favoured trend at that time it was no surprise that their follow up single I’m In the Mood for Dancing smashed through the charts. It gave the girl group their first taste of chart success placing them at number 3 in the UK, number 2 in Ireland and number 1 in Japan. This would become their signature tune throughout their musical career and even today it is just as much loved as it was back then. The baby of the family was Colleen Nolan and in 1980 when Anne Nolan left the group, Colleen was introduced as the newest member. The group had changed its name to The Nolans which seemed to agree with them as they had a huge success with their 3rd album Making Waves. The Portrait album in 1982 would see another success under their belts. It reached number 7 in the charts however once again the success was short lived and the group struggled to release any more top hits into the UK chart. Although The Nolans faced disappointment in the UK chart, Japan could not get enough of the singing and dancing girl group and they went on to secure a 6 album deal in the country which seen them record several albums specifically for the Japanese market and recover Japanese hits in English. By 1995 both Colleen and Bernie left the group to pursue different avenues. Maureen and Anne, who had come back into the group in 1982, were left to continue. They performed at various venues for a length of time until 2005 when the group disbanded. The girls went on with their individual lives building on their careers. In 2008 Anne hit the headlines with accusations of violence and abuse throughout her performing years at the hands of her father. It wouldn’t be long after these revelations that fans were to hear from the group again. Four years later the girls reunited for a UK and Ireland tour in 2009. This time Anne was not included which caused great strain on their relationship with her and ultimately ended with her disowning them. With Denise in support of her older sister, The Nolans were to go on stage consisting of only Colleen, Bernie, Maureen and Linda. Releasing a one off album titled I’m In the Mood Again, they reached number 22 in the charts in 2009. Following this the group were quiet with Colleen and Bernie pursuing a stage and television careers. Sadly in 2013 Bernie Nolan passed away in her sleep after battling cancer. 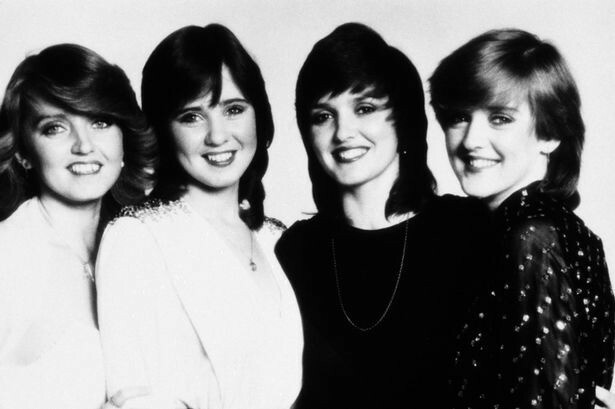 For almost forty years The Nolans have been a household name throughout Ireland and the UK. They have faced huge challenges both publicly and privately however their passion and love for music has seen their musical career bounce back time and time again. And this is the reason why Ireland proudly claims them as her own.